This section is reserved for those items that were so rare, expensive, lucky, or otherwise outstanding and amazing that they deserve to stand out from the crowd. 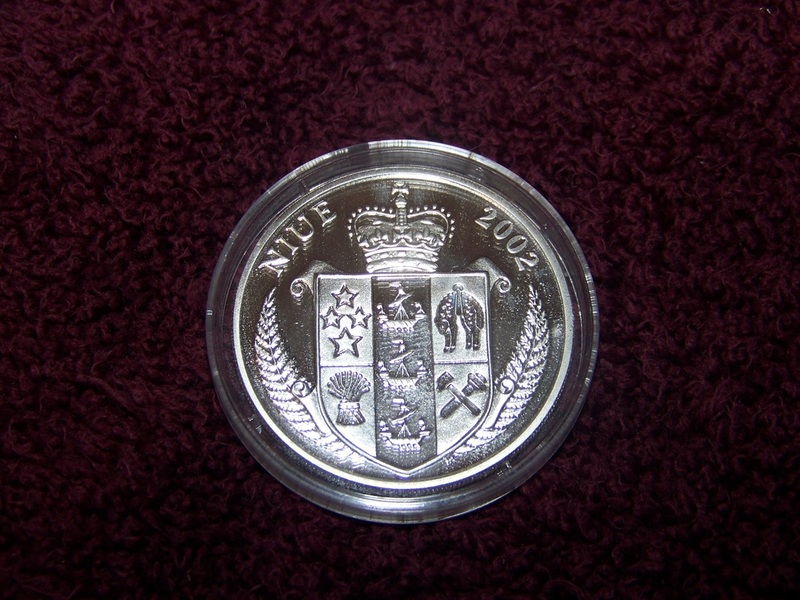 Just because an item is expensive does not make it a grail - an item that was acquired for only a few dollars could be listed here in the right circumstances! This...THIS is what Holy Grails are made out of. Me having this in my possession has one hell of a story. 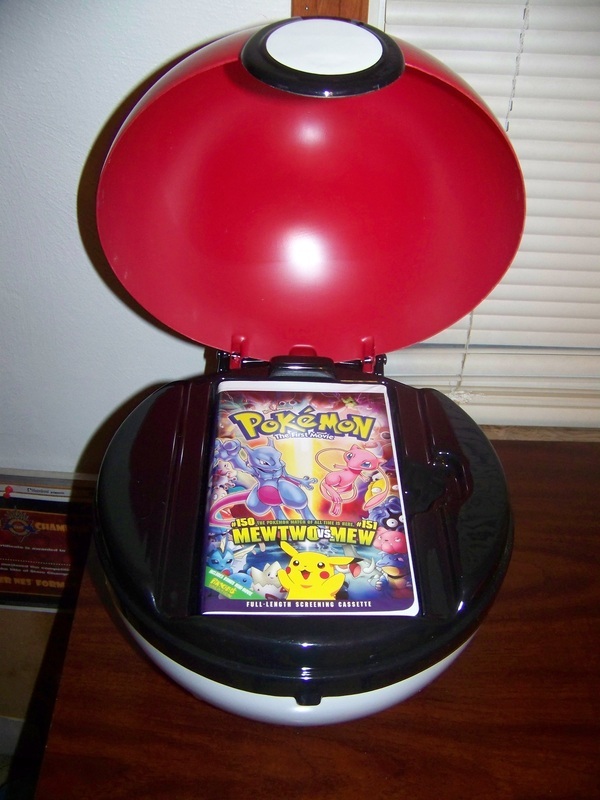 For the longest time, I was unable to get my hands on one of these. HonestBoris had one, and that was just about as good, but admittedly I would have liked one to call my own. I picked one up from a friend named Glanth when she needed money for a move, with the intention of it going back to her at the same cost when she got settled. As luck would have it, one showed up on eBay (albeit without tag) that I snagged for about $93 (my max bid at the time was $2,001.50.) However, Glanth had picked up another one elsewhere so she no longer needed the one I had, leaving me with two. 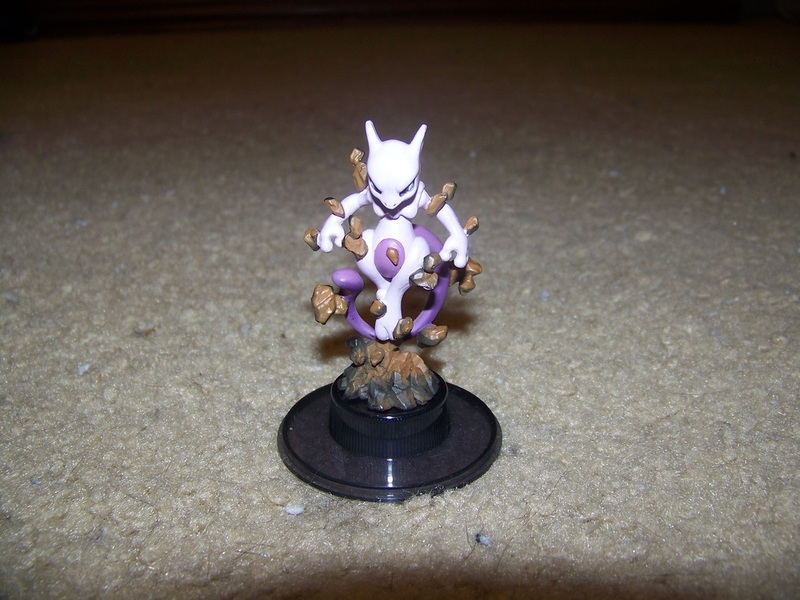 This little gem mint guy showed up on eBay, months later. I was content to watch the auction from the sidelines, as a friend of mine was planning on bidding on it. Up and up the auction went...$400...$500...$800...what in the hell...$1,100, $1,200...$1,475! Who in the living hell dropped nearly $1.5k on this thing? 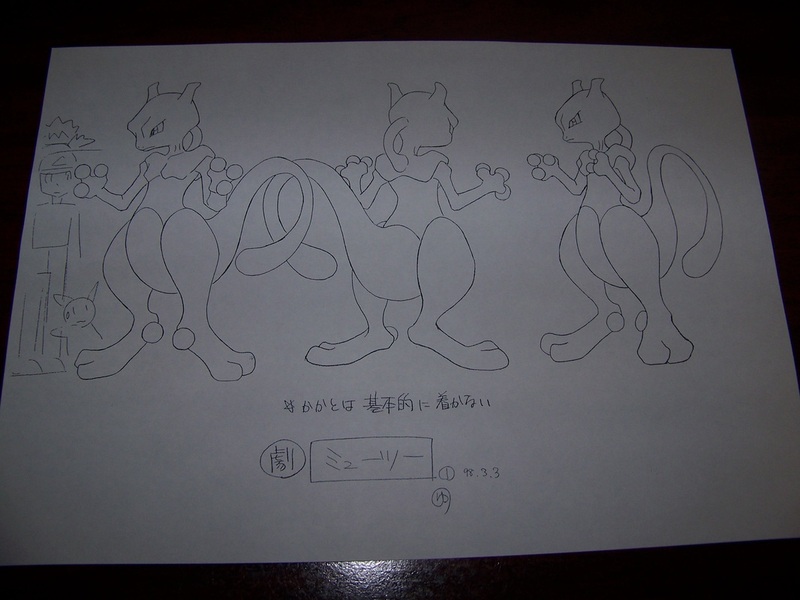 Is there a new epic Mewtwo collector in our midst? I get a message from BaconsCreation over on DeviantArt. She was the one that bought it. With the sole intention of trading it to me. 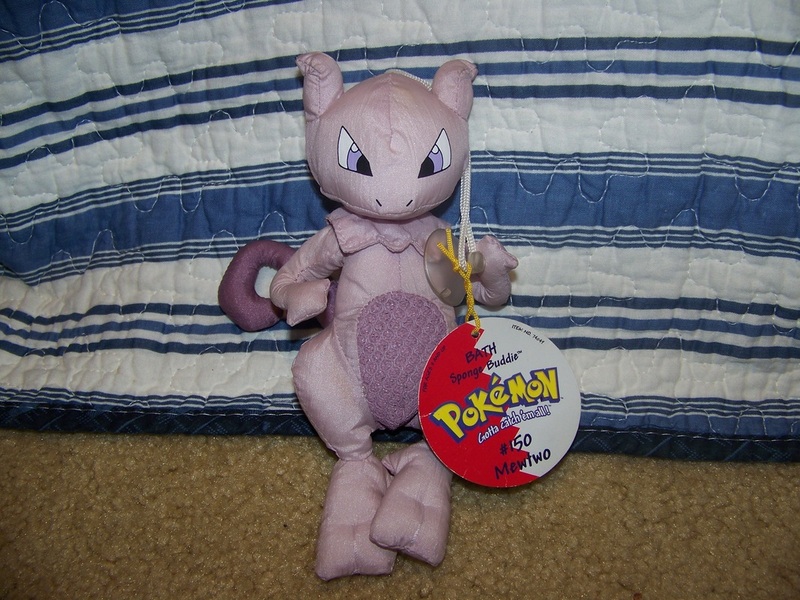 For a single posable Mewtwo plush, of which I had sixteen at the time. 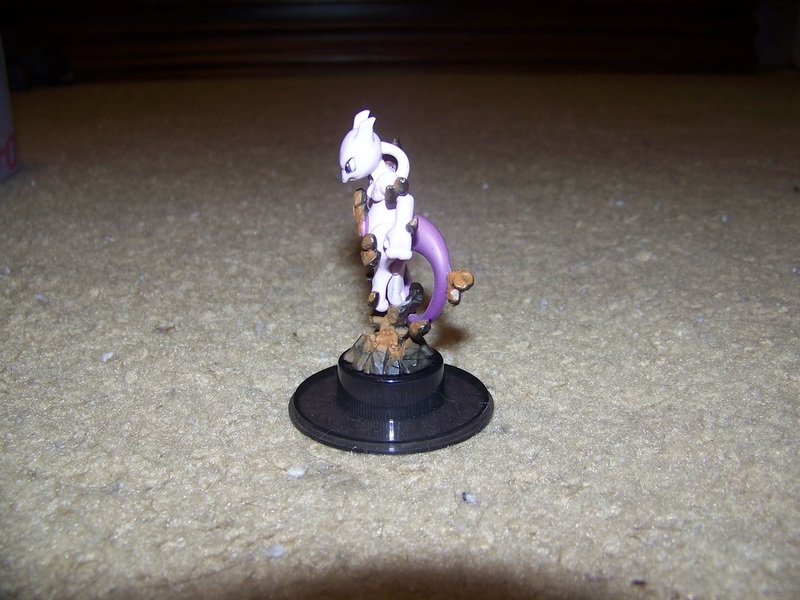 (I did not just give her a single posable for it, mind you - my conscience wouldn't allow that. 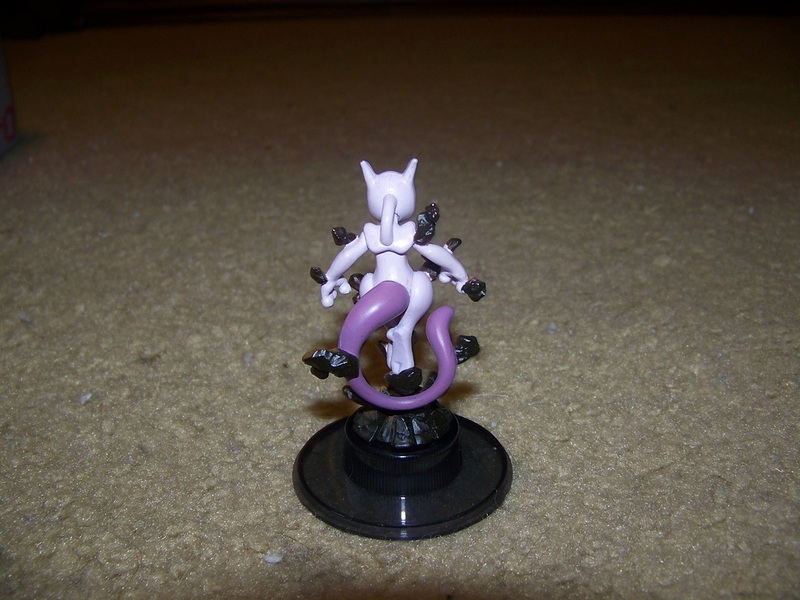 She got two of them, plus a good number of valuable doubles, plus every single non-related Mewtwo collectible I had at the time, which was a good few hundred dollars worth of items. I could only hope to come close to offsetting her costs, and by looking at some of the items I traded her on eBay lately, I think I did.) It showed up a few days later...and for one very short period of time I had 3 of these in my possession. 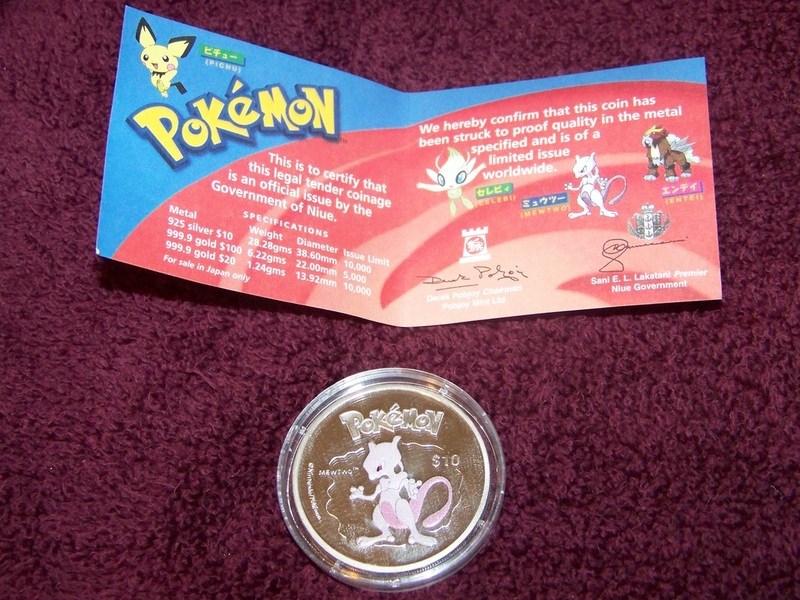 For an item that there's less than 10 of known in circulation within the collecting community, that's almost blasphemy. BaconsCreation ended up asking me for one of the less mint ones - the one that was supposed to go to Glanth. The second is held for another friend who still hasn't been able to get one. ...I think I'll be keeping this one. It's the only MWT I've ever seen out there. 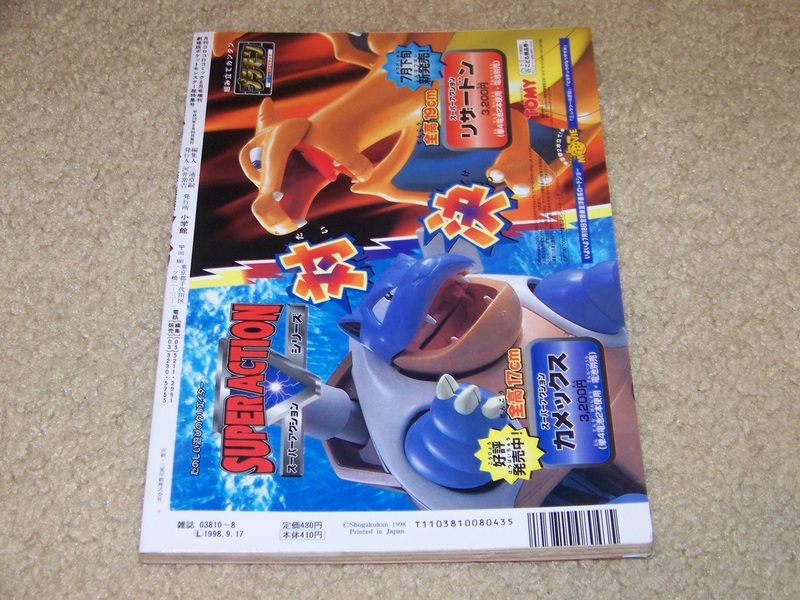 I can only thank BaconsCreation for remembering I wanted this and for being willing to go so gung-ho to get it for me for a trade. Picking up this, much like the Bath Buddy, is a story of legend. 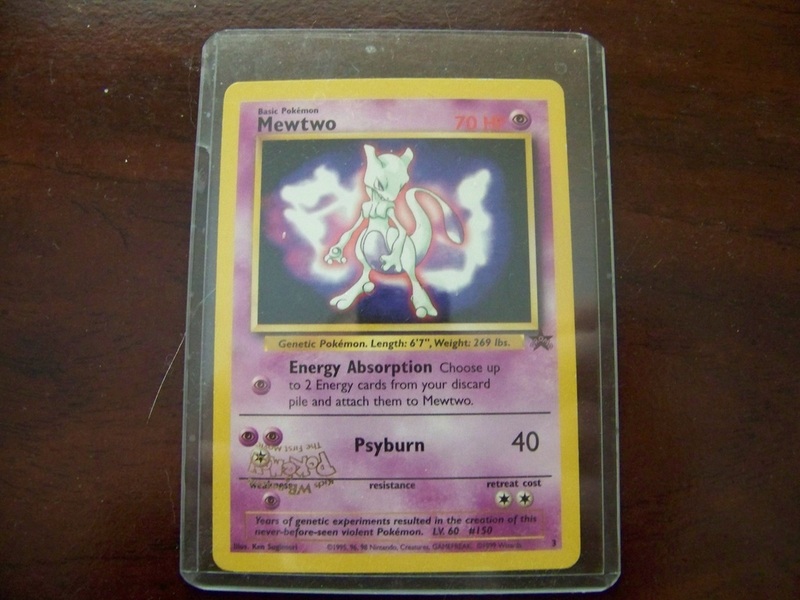 For the longest time, I assumed only one copy of this card existed, owned by SuperMatt142 (his YouTube channel has a vide of him talking about it.) 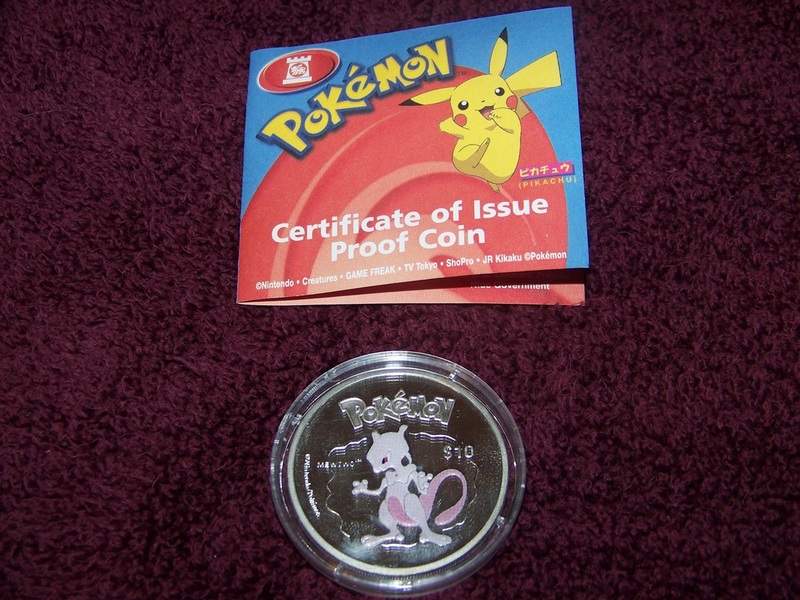 I found out about it from Pojo.com's Pokemon section, and it was my first true holy grail of Pokemon collecting. As luck would have it, neonr0se of Pkmncollectors posted asking for a value check. People were offering her about $50 in value for it; I sensed an opportunity here. I messaged her, offering to buy any $100+ worth of plushes she wanted from eBay in exchange for it. She agreed, and we had our deal. Months later, another copy appeared on eBay, with someone offering to sell it to me for $500. As much as I wanted to have two of the three copies in existence, I couldn't justify the price tag. 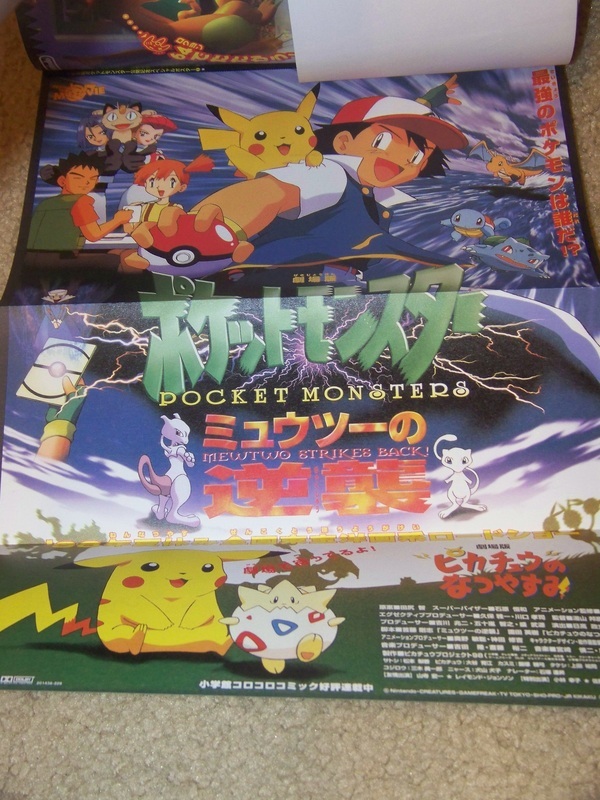 A while after that, apparently someone had ALL FOUR of the promo cards from this movie promo set, all with the same misprint. They put them up for $200 Buy it Now, and damn me for hesitating; they realized they had something of value and jumped the remaining ones up to $300, and even then they sold instantly. Someone's since got one PSA graded and is trying to sell it for some insane amount of money - it won't sell at that rate but I probably should get my copy graded. For now I'm content to just have something that's such an amazing rarity. The first set...oh, that was funny. At the same time the first Bath Buddy I'd seen up for grabs went on eBay, this went up. Honestboris and I agreed that he'd get the Bath Buddy and I'd get the wine glass. 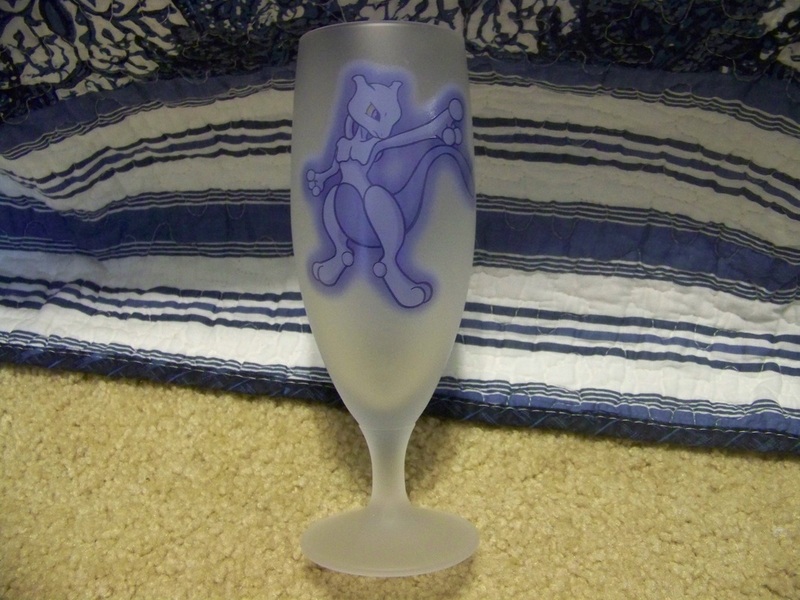 But just to make SURE I would get the wine glass, since there was no Buy it Now, he offered the seller $300 to end the auction early and send to him. "No deal" - either the seller thought he was trying to scam him, or thought his set was worth more than that. Have I mentioned how much I love auction sniping tools? They're wonderful things, really. So in went some ungodly high snipe that I don't even remember the total on. The auction ends...with me getting the glasses for $52.50. *clears his throat* ....LOOOOOOOOL. ...immediately after that - I mean a day later - another set shows up, but no BIN. Quick e-mail to the seller - "Hey, another set of these just sold for $100. I'm willing to match that if you're willing to add a BIN." Done and done. 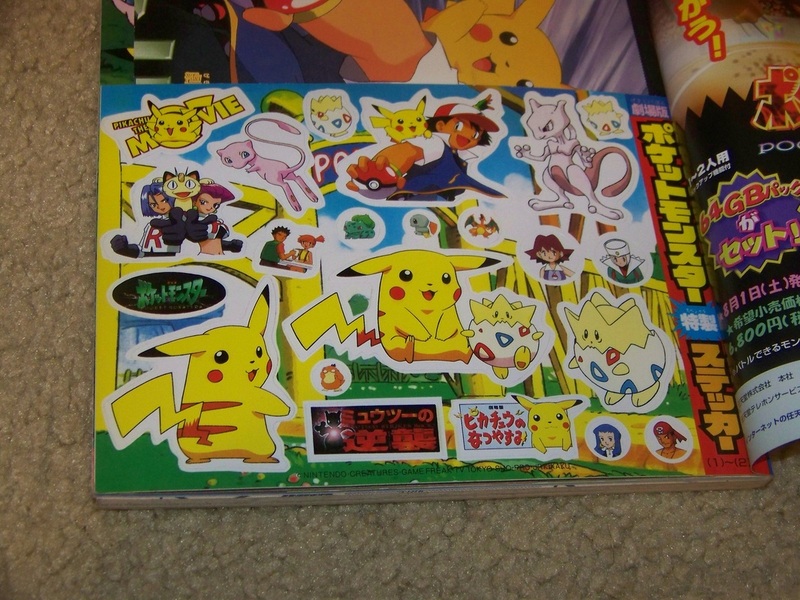 Another set shows up on Yahoo Auctions Japan a while after. I chased that one a wee bit too hard, it selling for my maximum bid, but it still gave me a fourth set. Finally, about a month ago, another set showed up with a Buy it Now, and about $83 and change later with a last-second bid, I picked that set up as well. This doesn't have as interesting of a story as the Bath Buddy or the Misprint #3, but it's still up there as one of my most treasured grails. One goes up for auction, I bid it up to $500, get a bit heated over the bidwar and go up to $800, someone outbids me, fails to follow through when purchasing. It gets relisted, I bid $500 right away thinking it would be enough to scare off others, nope! Someone else lists one for straight sale, asks $600, I offer the $500 I was willing to spend in the first place. DAT A-...er, I mean here's a better view of how the figure gives the illusion of the rocks floating in mid-air. As I've said elsewhere, I LOVE the World Championships 2006 line of merchandise. 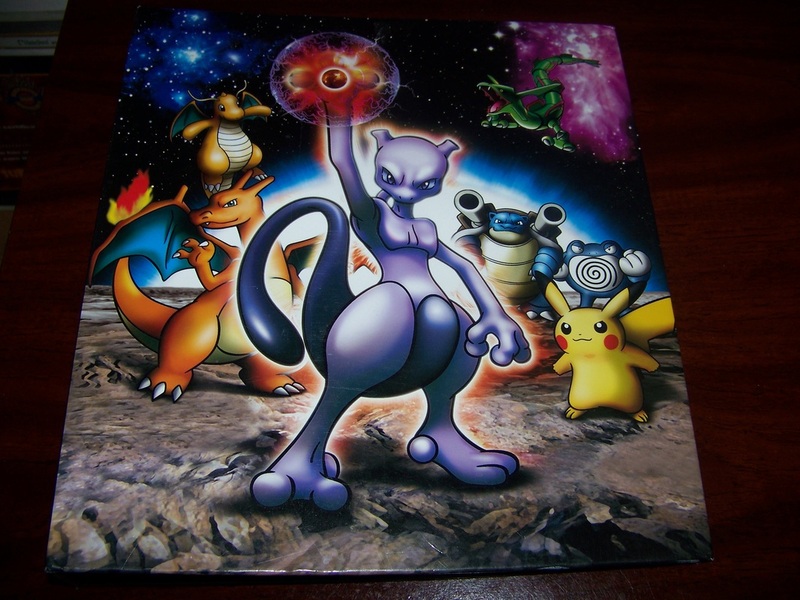 Other Pokemon of relevance are all around, but Mewtwo's clearly the leader and damn if he doesn't look absolutely epic in that pose. 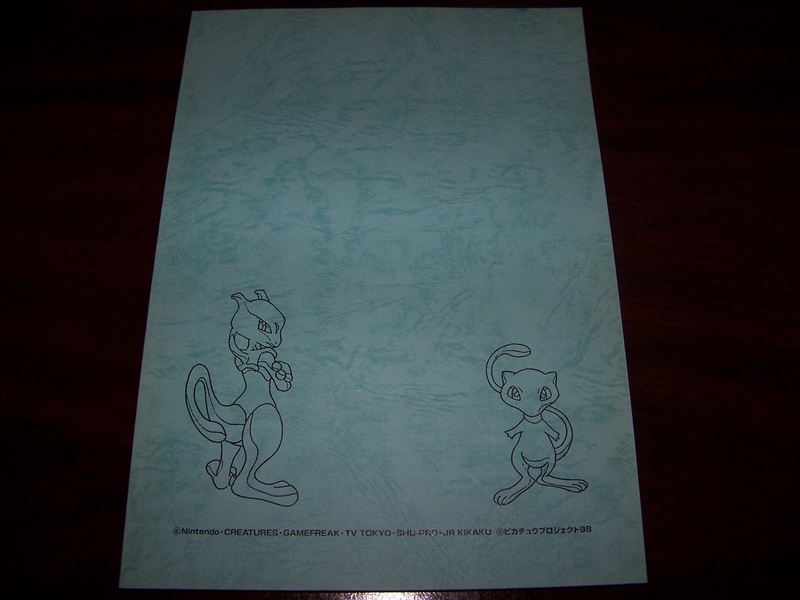 I needed this binder in my life - apparently, so did someone else as the bidwar for this thing went up over $160 - and the other bidder got a hold of me after I'd received it and offered to pay me above and beyond what I'd paid. 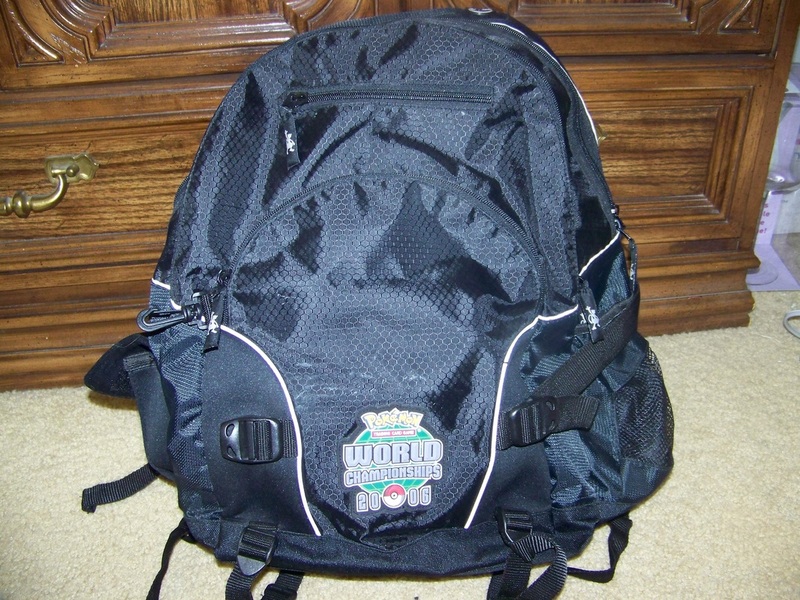 I had to decline - another has shown up on eBay but it's even higher priced. 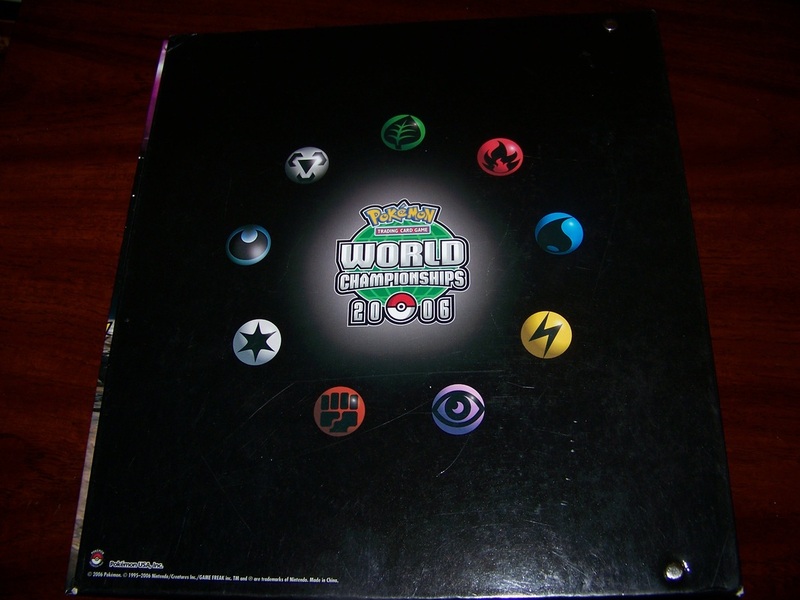 Obligatory back shot of the binder. The damage has since been repaired, however, and I ended up picking up a duplicate anyway. The mint one will stay mint, and I can use the one that was fixed when needed. 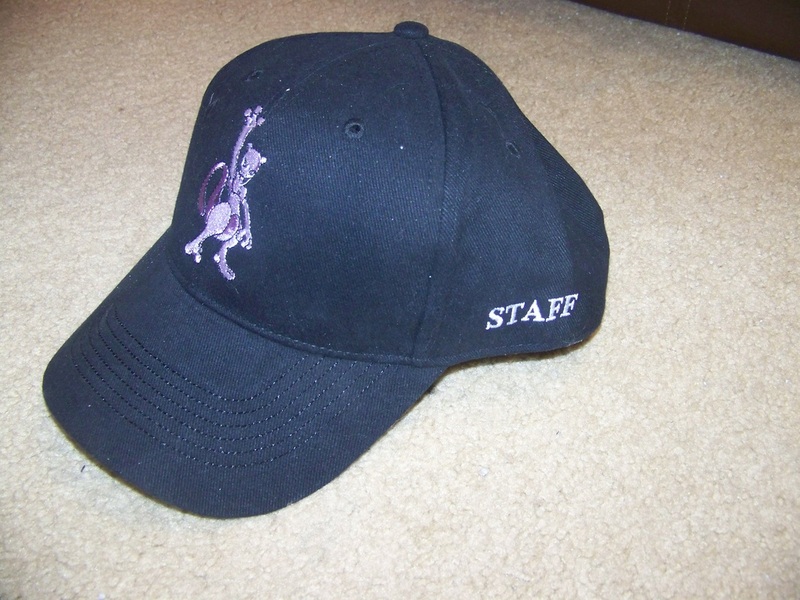 While HonestBoris picked up a Pokemon Organized Play Staff hat, this one's from Worlds! I wonder how many of these are out there in any kind of collectible condition - this one still had the protector inside the bill of the hat. It's never been worn! This was one hell of a find - it came from a shop out in Cali, I believe. At one point only six of these were rumored to exist - I'm not sure the figure's that low but I've never SEEN more than a few of these. ...as a nice touch, the box this was shipped in to me was the original box Warner Brothers used to ship it to the shop in question. I might take a picture of it and throw that up later. 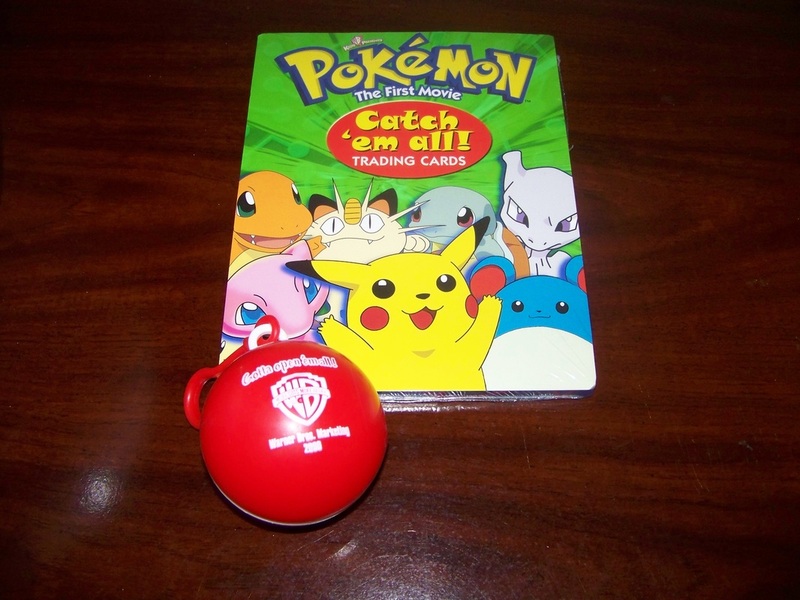 These were included with the screener copy; including them for completeness's sake. 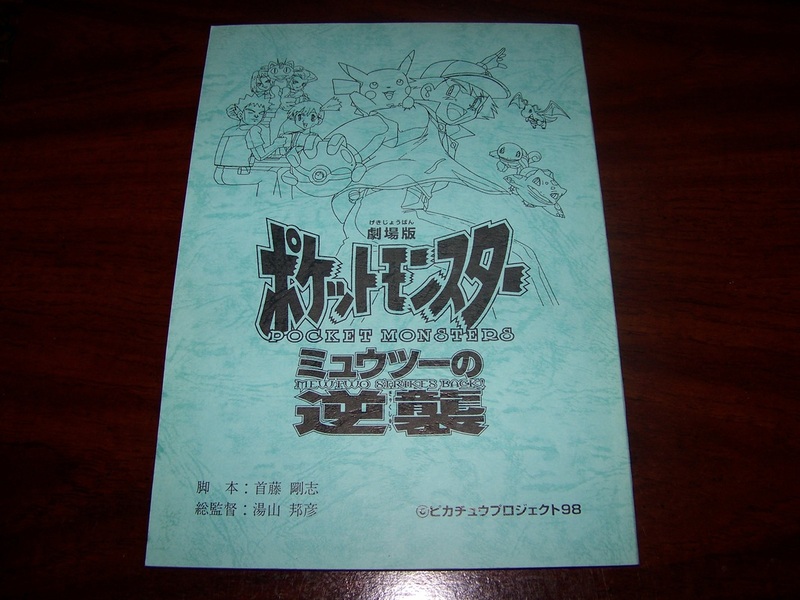 This was another rare Y!J find - what I believe to be an original, official script that the voice actors used for the Japanese release of the first movie. I've only ever seen it on auction twice, and the second time apparently someone else knew what it was and went after it as it was too rich for my blood to pick up a duplicate copy. 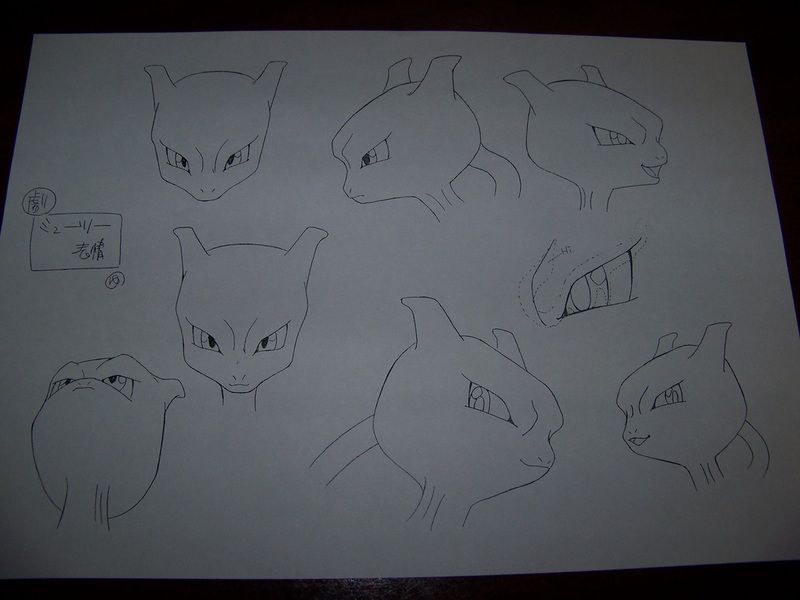 Just to show Mewtwo and Mew's poses on the back. 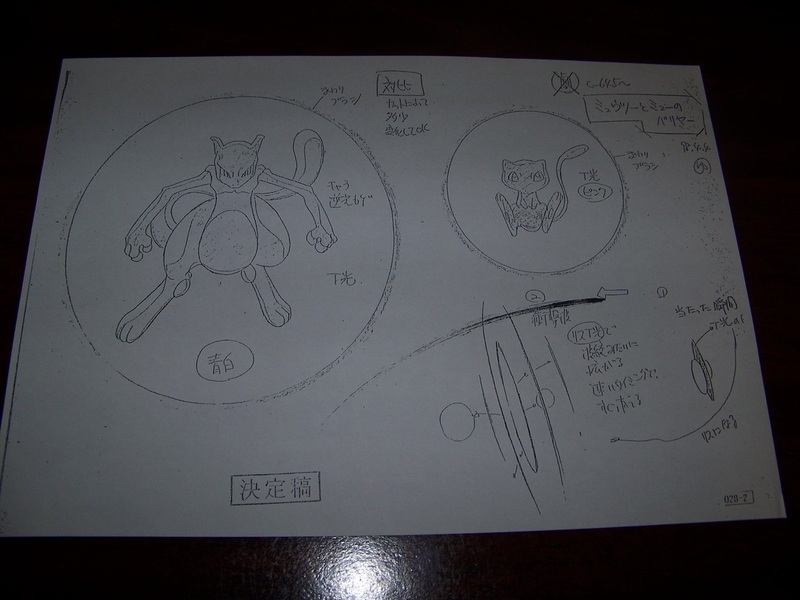 This manga's a treasure for us Mewtwo Strikes Back fans, as there were added elements to his character not shown in either the Japanese or US release. I was thrilled to get this for 10,500 yen, especially with all of the bonus stuff still attached! 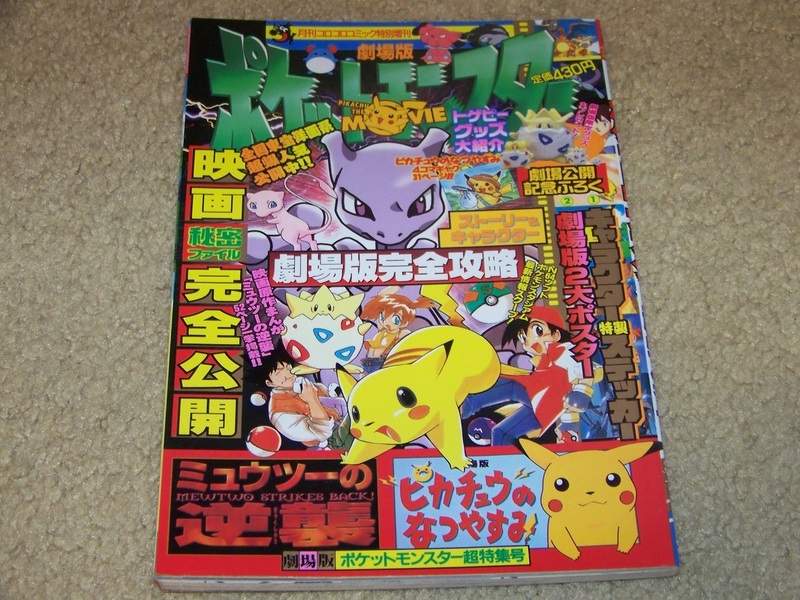 I'd take pictures of each page, but other sites have already posted higher quality scans. I paid waaaaaay too much damn money for this. I think it was in the $270 range. My own fault for getting into a bidwar. It would have been even higher if I didn't work something out with a competing collector to let me have this one. I've only ever seen one set of these in my life; they appear to be legit despite that. Hoping to use them at a special occasion like a wedding someday. 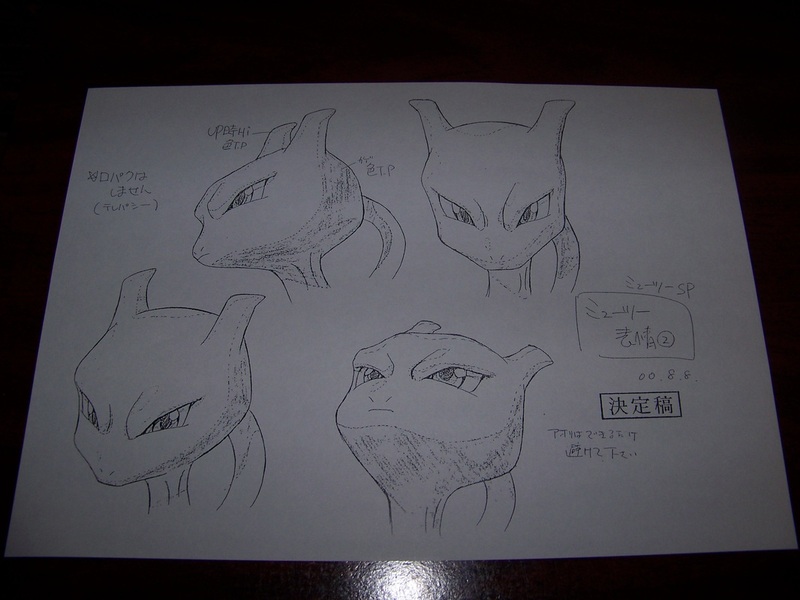 Given these are printed copies of reference sketches and inks the official artists for the series used - and thus easily reproduced - conventional wisdom would tell me to upload these as low-res, or at least to not make the full-res versions available. But having these be publically available trumps any desire I have to maintain the value of these. 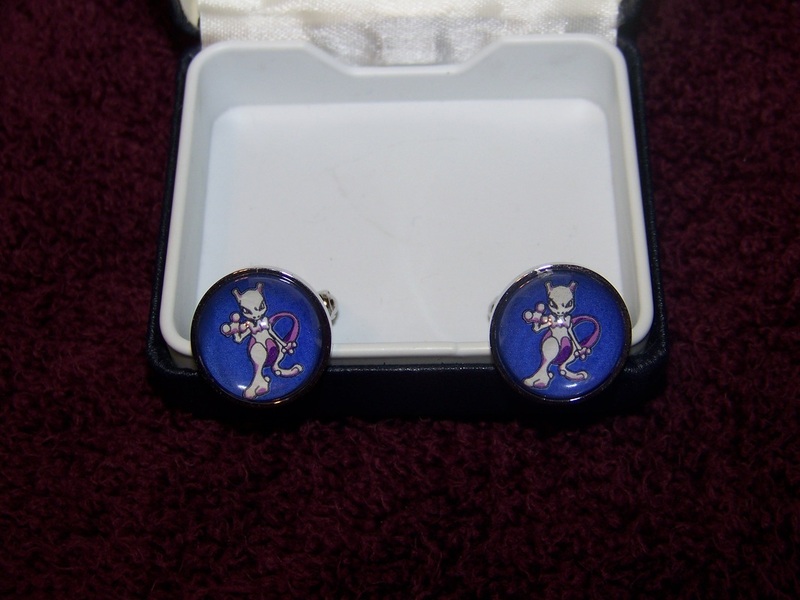 Despite these setting me back a pretty penny I'd rather other Mewtwo fans get to see these and use them for their own reference if they so choose. I hope you've enjoyed my collection of grails. Hopefully this leads to some people tipping me off to a few new things to add to this part of the site!